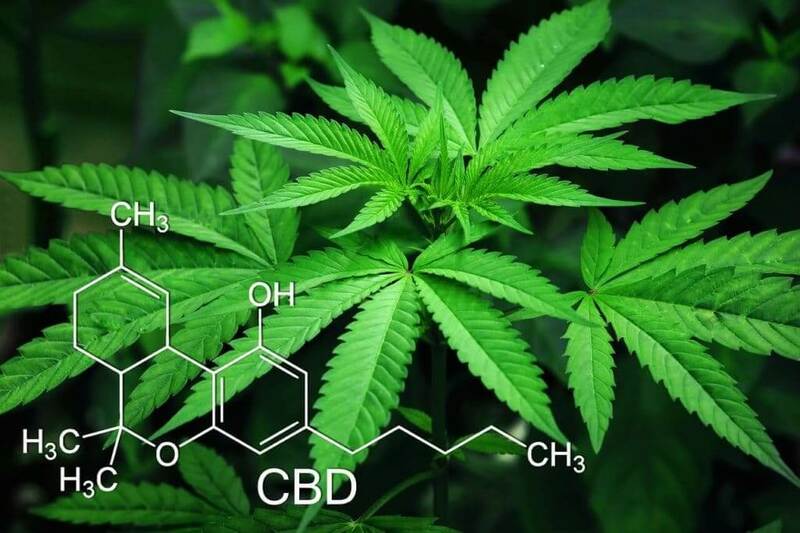 In your quest to find the ideal CBD oil, you most probably have come across numerous discussions regarding the difference between isolate and full spectrum CBD oil. To help you out, let us go over some of the basics about these two forms of extracted CBD oil, along with the main difference between them. Hopefully, your curiosity will ultimately be satisfied, and you will be able to make a better-informed decision in the future. 0.2 What is Full Spectrum or Whole-Plant Extract CBD Oil? 0.3 What is CBD Isolate and How Is It Made? 1.1 How does this affect the resulting CBD product? 1.2 How Will You Know Which CBD Oil Is Suitable for You? 1.3 What then is the advantage of using isolate CBD over full spectrum? Now more than ever, people are discovering the potential of CBD oil when it comes to relieving symptoms of medical conditions. On the whole, good-quality CBD oil is beneficial for you, whatever its form. There are times when people feel the need to pit CBD isolate against full spectrum. In truth, it just all comes down to personal preference and need. We can’t deny that full spectrum is more popular, but isolate still has its particular appeal and advantage. What we should be focusing on is which one will be more helpful to the user. What is Full Spectrum or Whole-Plant Extract CBD Oil? Based on the name alone, full spectrum CBD oil is extracted from hemp plant with all cannabinoids still present. What’s more, we also get terpenes, flavonoids, Omega fatty acids, and essential vitamins and minerals. Full spectrum CBD oil is prevalent because of the much sought after entourage effect. This is the term given to the healing effect all of the hemp’s compounds and components give to a person. 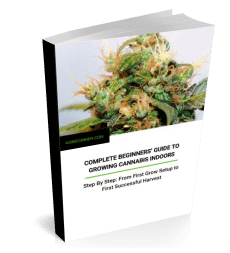 In short, it is widely believed that using the whole plant is highly beneficial because all the components working together is better than one compound working alone. 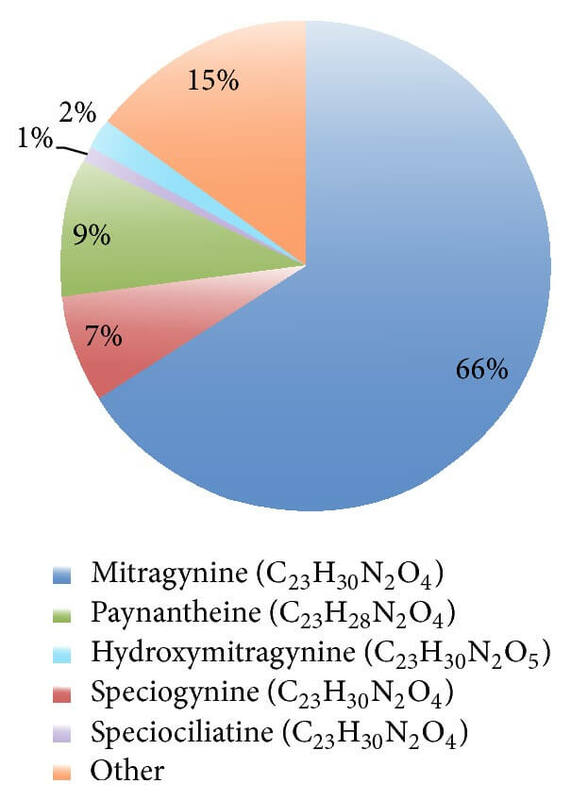 All the compounds interact with each other in order to boost their effect. What is CBD Isolate and How Is It Made? Again, by referring to its name alone, CBD isolate contains only one compound—cannabidiol. In order to make a CBD isolate, you must first extract the CBD oil from hemp. Nowadays, supercritical CO2 extraction is the method of choice because it gives the purest oil extract. Next, chromatography is used in order to remove cannabinoids and other plant materials. The resulting compound is then heated to leave only CBD. What we are left with is pure cannabidiol that is usually sold in crystal or white powder form. At times, isolate is also added to MCT oil. Isolate dissolves in liquid, making it ideal to add to other products that are otherwise not compatible with CBD oil. 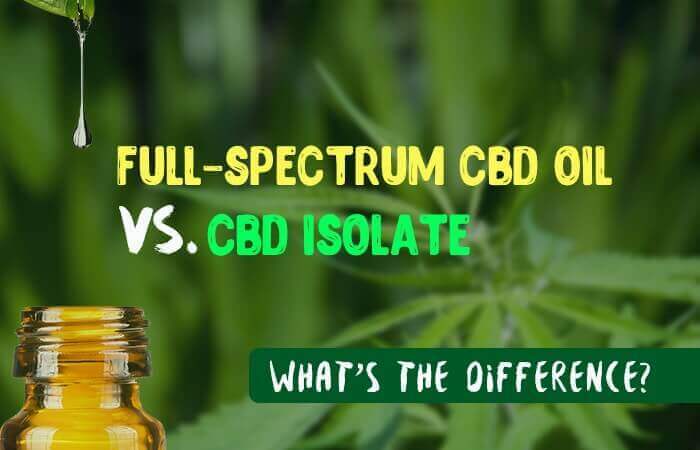 By now, you are probably starting to notice the significant difference between isolate and pure spectrum CBD oil: isolate contains only pure CBD compound, while full spectrum contains all other cannabinoids. How does this affect the resulting CBD product? Full spectrum CBD will contain trace amounts of THC. Legally, this amount should not exceed 0.3%. Reputable CBD oil companies have stringent quality control measures and have no problem adhering to this regulation. CBD isolate is obviously devoid of other cannabinoids, and will not contain THC. This makes isolate safe for people who are worried about regular drug testing at their place of work. Despite this, I’ve mentioned that most companies tout the advantage of using full spectrum CBD oil over isolate. It’s because many desire the entourage effect, especially those dealing with anxiety and chronic pain. 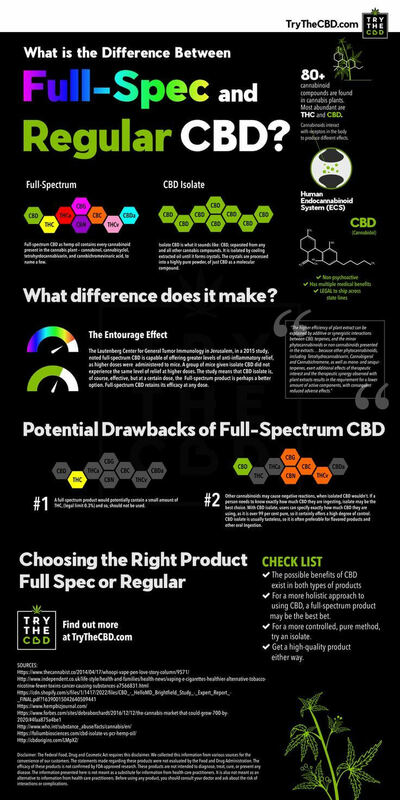 How Will You Know Which CBD Oil Is Suitable for You? Over the years, various testimonies attest to the fact that full spectrum CBD oil is more effective at treating symptoms of medical conditions. Research done on this have also backed this claim. It would appear that full spectrum CBD oil is better at managing the majority of medical conditions. Isolates are observed to be effective only up until a certain dose. Meaning, even if you increase your dosage, CBD isolate will not increase in potency. What then is the advantage of using isolate CBD over full spectrum? Well, for starters, not everyone wants the full capabilities of full spectrum CBD. 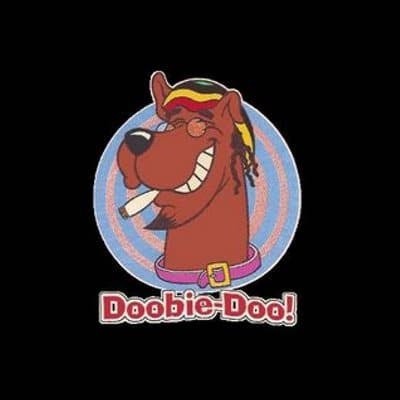 There are also some who were observed to develop a negative reaction to other cannabinoids. CBD isolate is odorless and tasteless, making it a perfect addition to other food or drinks. You will have greater control over the amount of CBD that will be included in your finished product. In the long run, using the CBD isolate is also easier on the pocket since full spectrum products are usually pricier. With regards to taste, most full spectrum CBD oil has a strong hemp-plant flavor that is not agreeable with everyone. Some CBD companies have taken to adding flavorings to their CBD products to counter this. But if you are not a fan of additives, then you would most probably have to bear with the taste of the pure full spectrum CBD oil. If you are fond of vaping, note that you might also prefer to use isolate CBD isolate instead of the full spectrum. And once again, I have to mention the usual reason why people prefer CBD isolate: they do not want any THC traces in their bodies. So, if you’re one of them, then you are certainly better off with the isolate. In the end, it doesn’t really matter which CBD form is most popular. You have to be the one to decide for yourself which one is better suited for you. A majority will go with full spectrum oil but don’t be too quick to dismiss CBD isolate. If you like mixing CBD with your food or drink, then isolate is a great option since you can easily measure the CBD amount. But if you want a more potent treatment for your medical symptoms, don’t hesitate to try out full spectrum CBD oil. At the end of the day, each one of us is different. The difference between isolate and full spectrum CBD oil won’t matter much because it all comes down to which will give you better relief and overall wellness.